The Standard Take off Board is designed for installing directly in place with fixing pins. 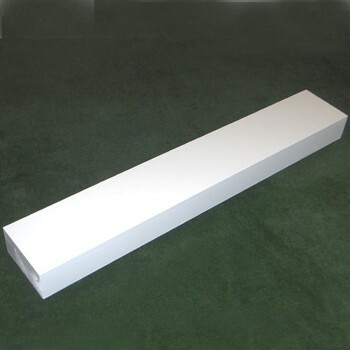 (This is not suitable for a Competition Take off Board steel trough). A solid plywood core sheathed with exterior grade plywood at the bottom and Medex at the top. Dimensions 100mm x 200mm x 1200mm.